One of the main things that people hate to give up on low carb / keto diets is chips. The closest replacement is fried cheese! 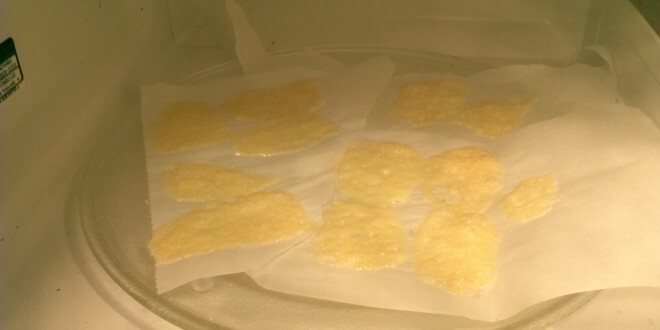 Here are some Parmesan chips I made for the Superbowl (wow I’m pretty behind 🙂 ). The first step is to take hard Parmesan cheese and grate it into slices. I use this hand grater. It has 6 sides and one of them is a slot that will cut flat slices of cheese just like these. 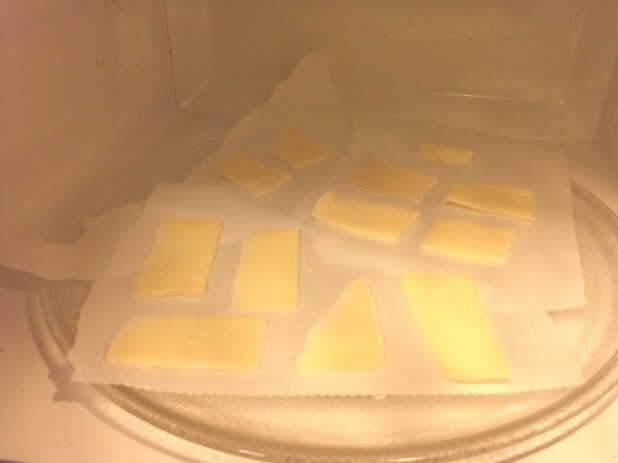 Lay the cheese out on some parchment paper. The cooking time is a hard thing to gauge. 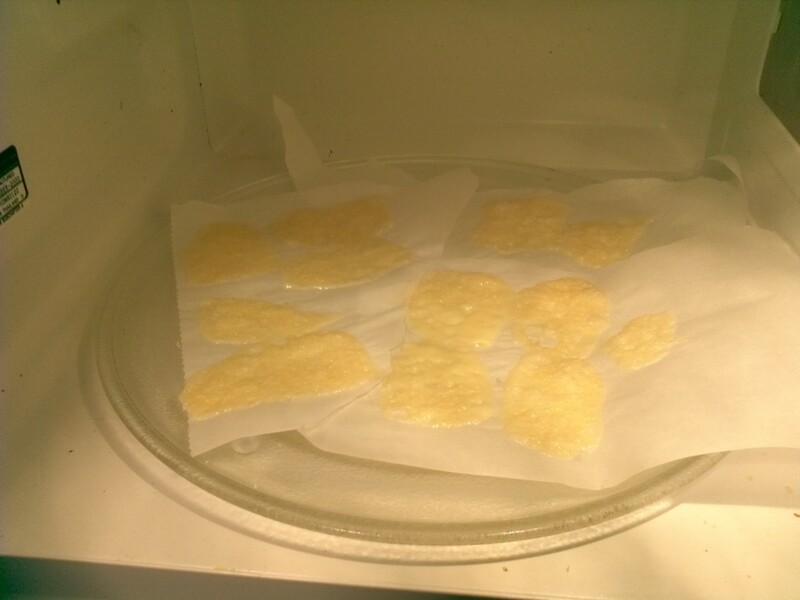 Basically you want to watch it and when it stops bubbling its done. Maybe a little before that but its pretty easy to get the hang of. Here are the chips along with several other keto friendly snacks. 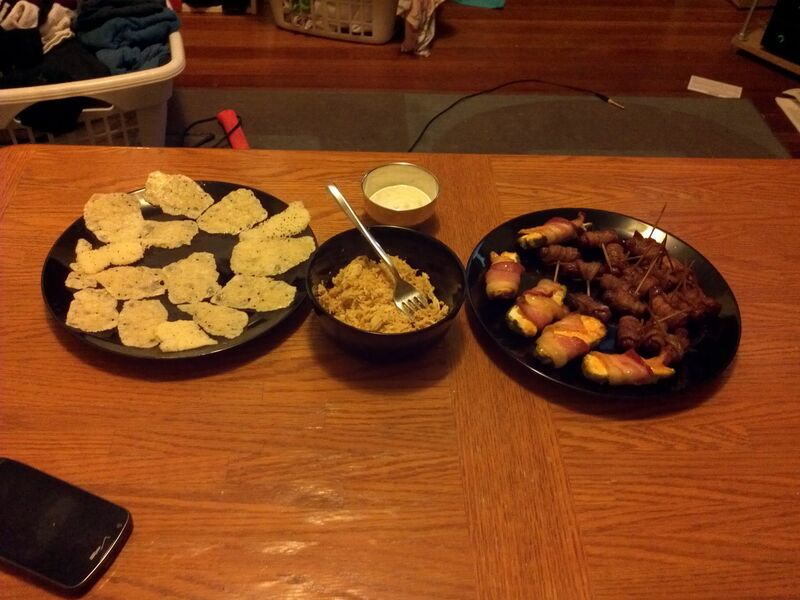 On the left we have the Bacon Wrapped Smokies followed by the Jalapenos: Stuffed and Wrapped. I also included some low carb blue cheese dressing. The meat is crockpot buffalo chicken.